The Tesoro Tuned In-Ear Pro Headphones deliver fairly big sound for being such little devices, but there is a bit of a cost to them. 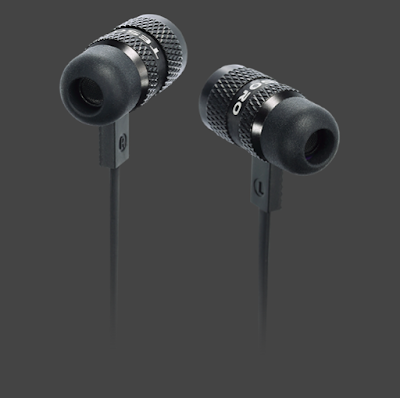 Not monetarily, because the price is right, but in their design which helps to deliver the quality audio but in the process can be somewhat large and bulky compared to similar earphones. 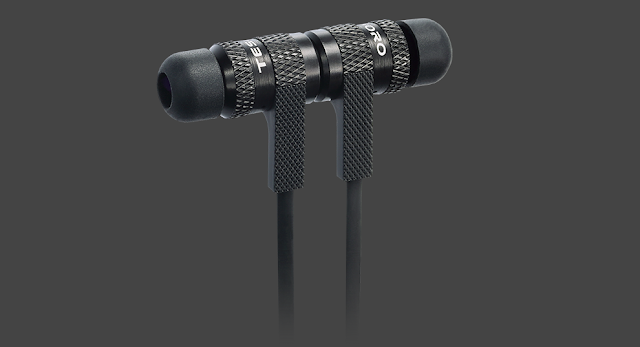 The official name of these is "headphones", but I equate this set more with earphones, because they are not worn on or around the ear, but rather in-ear. Speaking of the design, there are several interesting and generally good choices made here that should be called out right off of the bat. There is a magnetic portion to the back end of the separate ear pieces that allows you to couple them into something of a T-shape for storage purposes. On the one hand, you could argue that it's a little gimmicky, but on the other it does help to keep them in place without getting tangled up. Another nice feature on that front is the flat cable design. I personally favour flat cable over the more typical rounded when working with portable earphones, because the cables are far less likely to get tangled up or to wear down and break at certain points.While on the topic of the cable, there is a nice inline microphone as well as controls that tend to work with portable devices like iPhones to change volume or play/pause the music you are listening to. Another interesting choice is the shape of the earphone and where the wire attaches to them. Sticking to alphanumeric-shaped descriptions, these have something of a P or 9 shape to them, where the wire is slanted towards the backside instead of right up the middle. It is a minor thing, but it is nice because you can easily identify which unit goes in which ear without having to squint and try to identify some barely-visible R or L etching on them. The earbuds themselves come with different tips to fit different sizes and shapes of ear. However, the overall housing is both a blessing and a curse depending on the wearer. This is metal housing that is durable, with long drivers that help to deliver some pretty great sound. The bass could be a bit richer, but at this price point, the earphones themselves actually deliver some pretty fantastic sound in a variety of scenarios. I tested these with everything from war game explosions to a myriad of music types to movies with lots of dialogue and more. 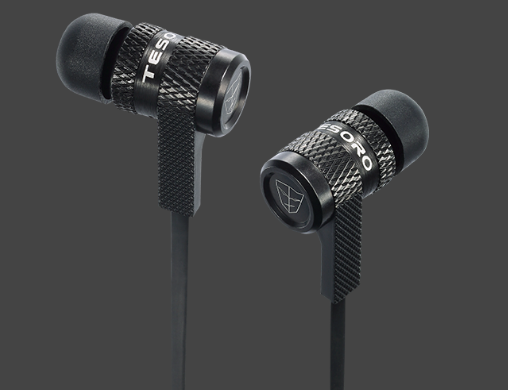 Generally speaking the Tesoro Tuned In-Ear Pro Headphones handles the mixing of audio pretty well, with audio clearly distinguishable over music or rumbling sound effects. The downside to this, is the driver is a little long and the housing is hard and a bit heavy. I did not mind it too much myself, but these are not the most comfortable earphones ever. I am also something of a large guy with a big head (I feel like I'm setting the editor up with an easy one here), and can use most headphones and earphones pretty effectively. My teenage son is a good deal smaller, as are his ears, and even with the smaller sized tips, he felt that these were somewhat uncomfortable. Hardly a deal-breaker for him, because like myself he thought the sound quality was pretty awesome. So there you have it - the Tesoro Tuned In-Ear Pro Headphones are a little bigger and heavier than some earphones, but in the process they deliver some nice features, quality sound and have a sturdy overall design. If you generally prefer lighter, smaller earphones, this particular set might not be for you, but the overall value here is great if the fit suits your ears.